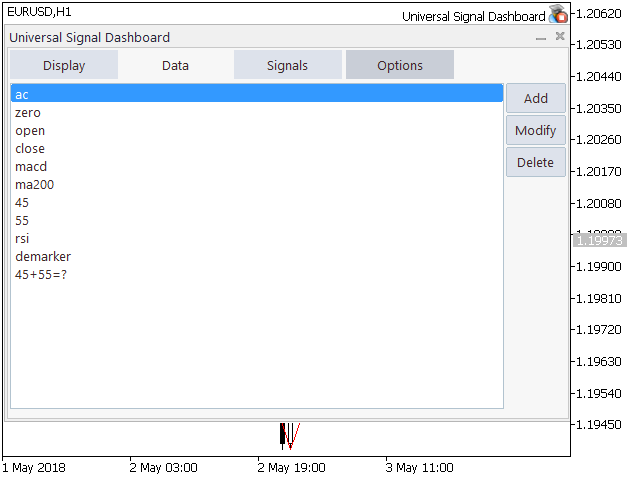 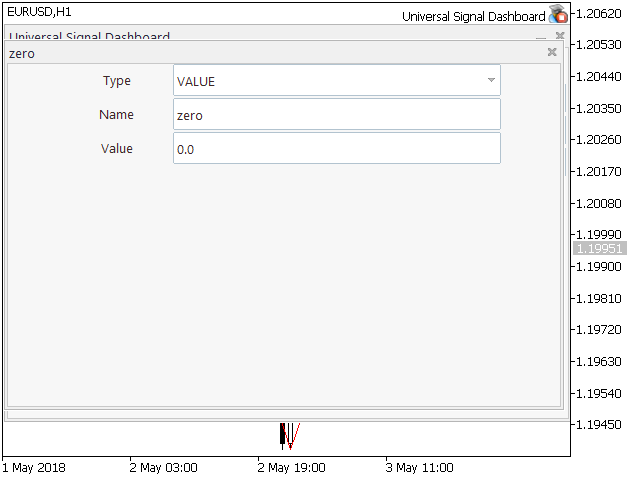 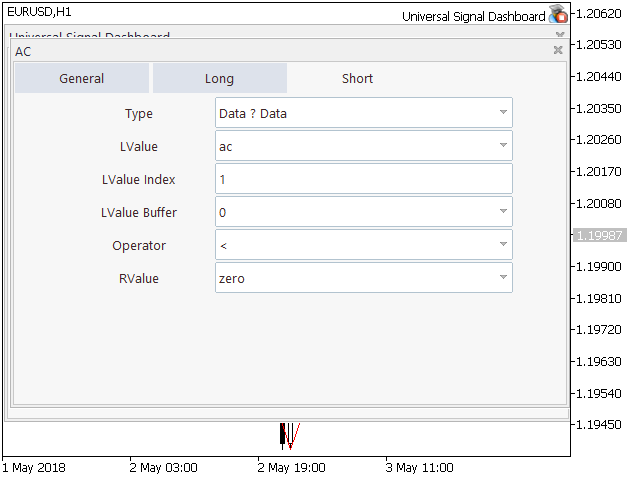 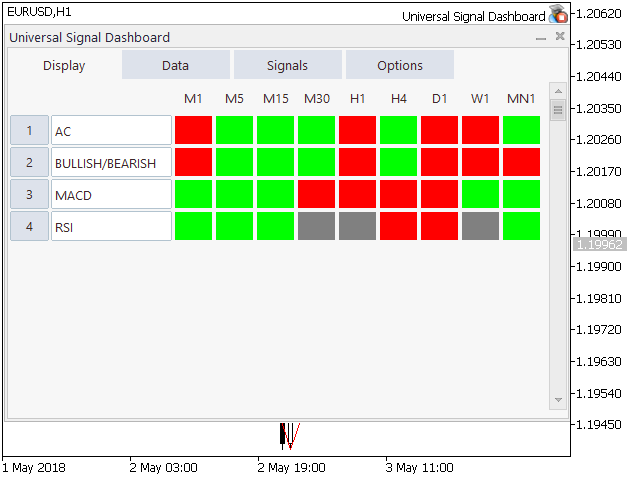 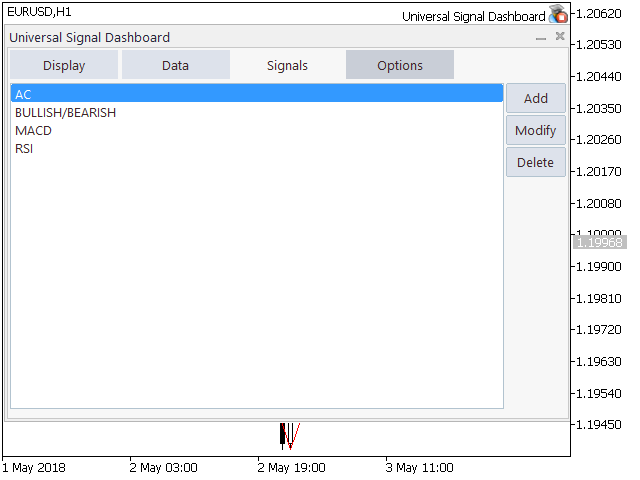 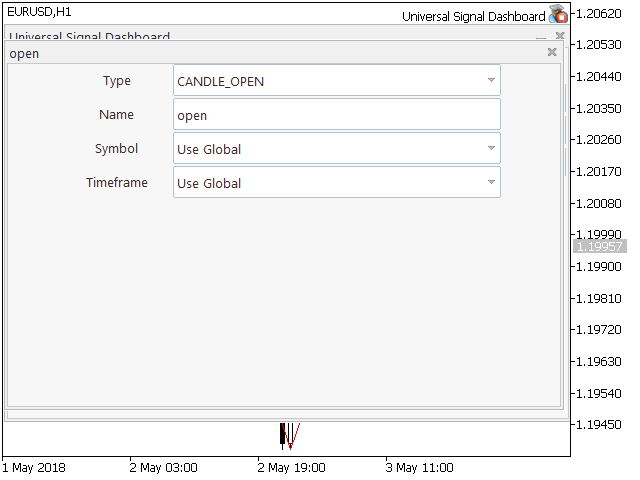 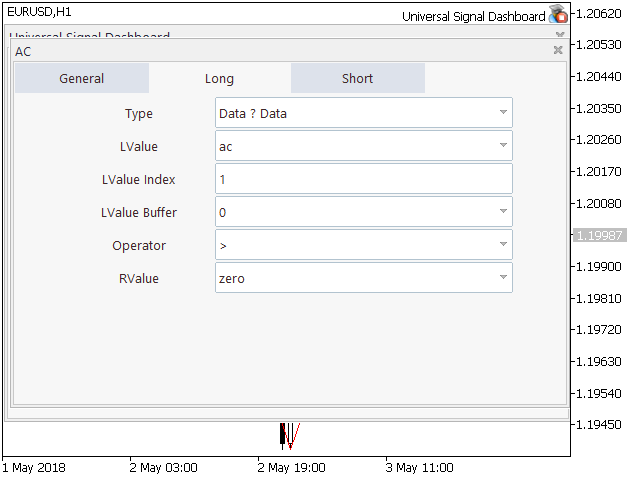 The Universal Signal Dashboard (USD) is a signal dashboard or indicator matrix. 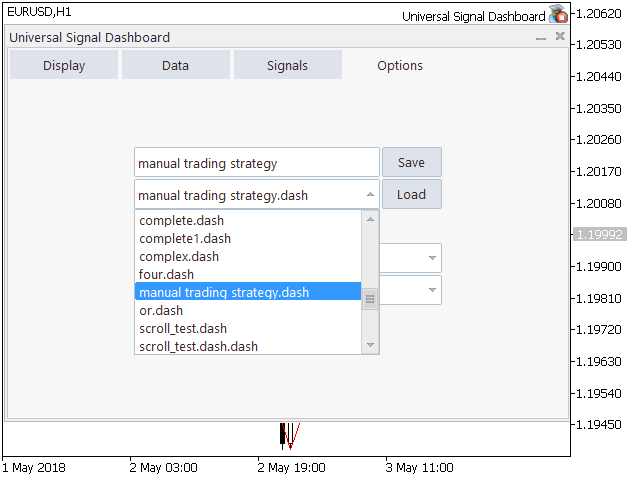 It can generate a matrix of signals from values, chart and candle prices, and from the buffer output of almost any technical indicator. 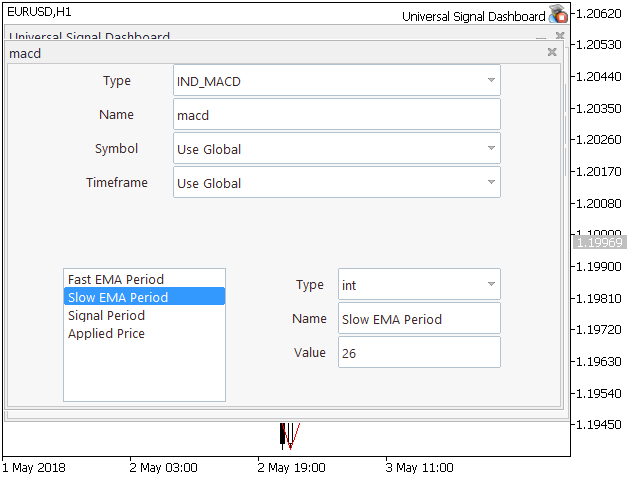 However, unlike most dashboards of the same category, USD is configurable based on the inputs provided by the user within the app interface. 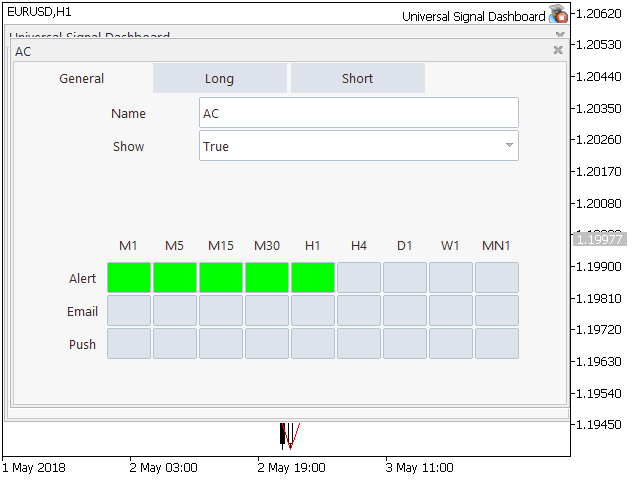 The tabs (Display, Data, and Signals tabs) starts empty and the Display tab will show more display entries as the user adds more signal entries on the app. 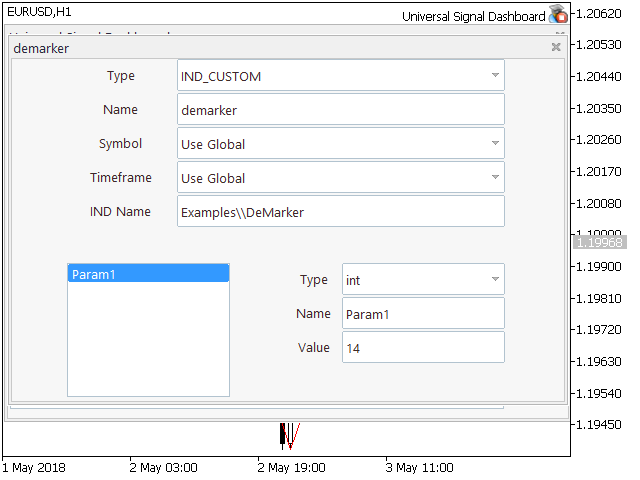 On the sub-dialog, determine the type and a custom name for the data (optional). 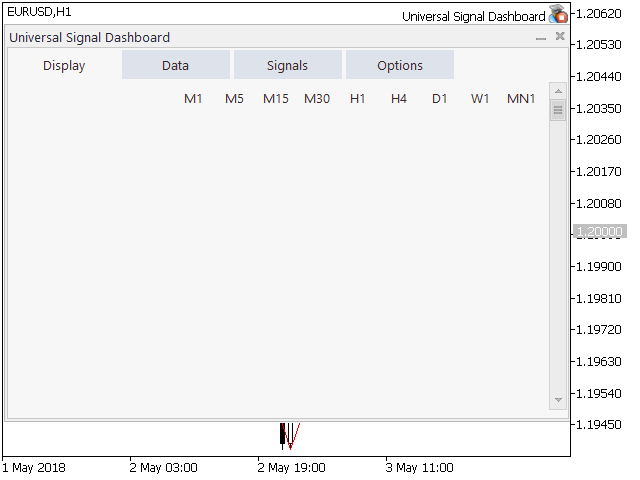 To view the signals created/changed, switch to the Display tab of the main dialog.